You can trust Metcalfe Lighting to be your reliable electrical contractor of choice. Since 1985 Metcalfe Lighting has had a consistent track record of coming through for first-time and repeat clients no matter the project size or complexity. Servicing Commercial, Industrial & Institutional industries in British Columbia. 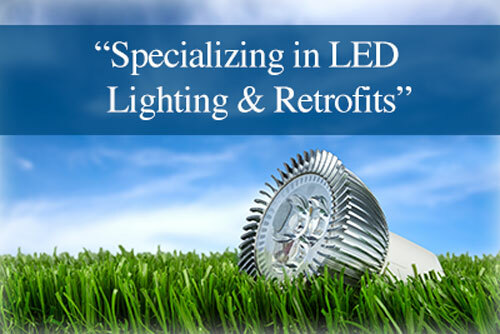 Let Metcalfe Lighting perform a lighting audit and energy analysis of your facility. 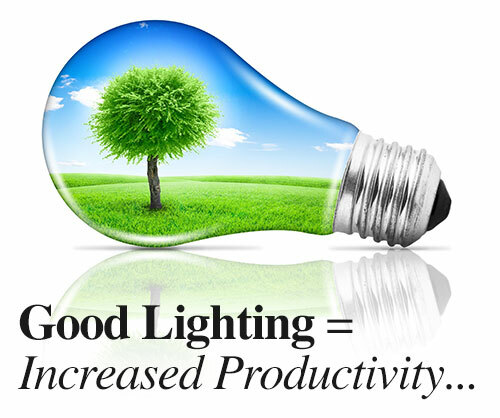 Whether your building is new or existing, Metcalfe Lighting can install your LED lighting systems, inside and out of your building. We keep your lights shining bright with regular maintenance and repair. Looking to convert to LED? Strong relationships lie at the heart of Metcalfe Lighting’s interactions with its clients. We build and maintain those relationships by being versatile when it comes to budgeting, scheduling, and planning, while being responsive and communicative throughout the life cycle of a project. Marty and his team did a great job converting our display lighting over to LED lighting. From the initial proposal, installation, Hydro rebate they made it easy. We are delighted with the improvement of the lighting of our display and have received many compliments. Good morning Marty, I just wanted to say the new LED lights are beyond my expectation. My warehouse is so much brighter and we are now able to turn them off and back on again without that dreaded ten minute delay waiting for the old metal halides to warm up or cool off. Ray Houle, Houle Games & Entertainement Ltd.
Well done, thank you!!!!!! They are very pleased @ the mall. Just wanted to say thank you so much for such excellent work and your timing on the project was above our expectations! We’re really happy with the final result, thank you, thank you, thank you! Thank-you for prompt service. The technician was friendly & efficient. He was the one who brought to my attention flood light was staying on asked if would like inspected & repaired; turns out I over-sprayed sensor. saved me money. thanks!!! Thank you kindly for the photos and completed work order. We greatly appreciate the fine work your technicians performed. We hope to call upon your services in future. Loved the young man who did the delivery too, Marte! It has been a pleasure working with all of you. I will definitely recommend you to anyone else. Thank you for putting so much thought into this job for us. You are the pro, so I’ll take your advise on the easiest way to do this. Thanks for going over to the Pier 1 today! I was very happy with your service and you were very professional. Thanks again!! Sylvia and I want you to know how much we appreciated the work you performed for us. It was unusual and tricky. Your work is exceptional and working with you is a treat. We hope in the near future we can recommend your service to others. After our frustrating experience with the other companies, this was a real treat. … Such efficiency and professionalism is all too rare. I would highly recommend Metcalfe Sign & Lighting. Very professional and right on time with everything he stated.